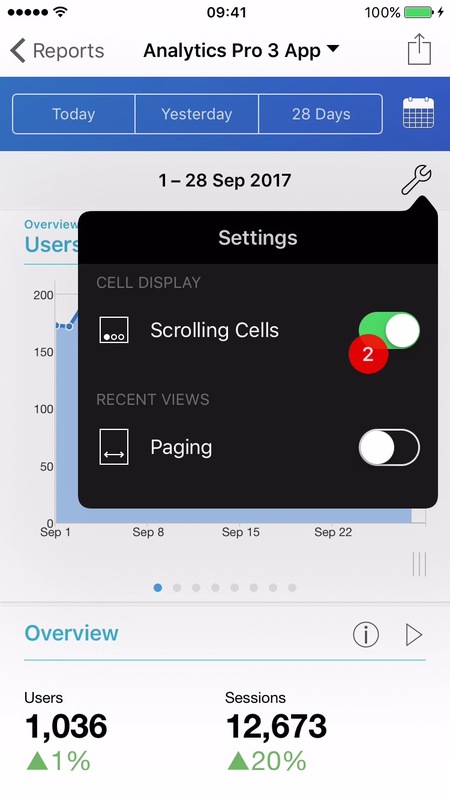 This tutorial shows how to enable scrolling cells. 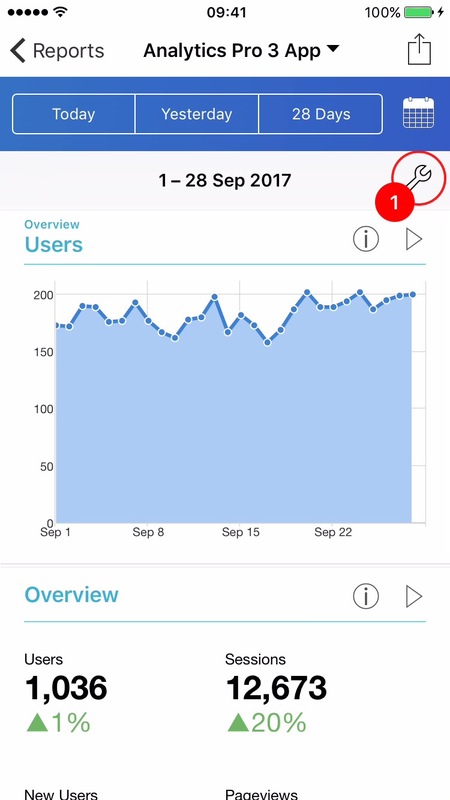 This is a feature that makes it easy to change the displayed metric for a dashboard cell using a swipe left or right gesture. 1Tap the 'Tool' button. This will display the 'Settings' menu. 2Set the 'Scrolling Cells' switch to the ON position. 3The cell will reload. 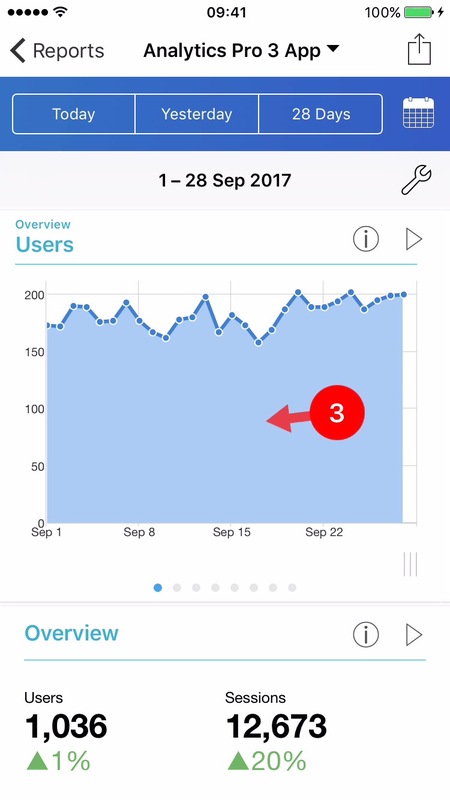 A page indicator will appear below the graph to indicate that the cell has scrollable content. Swipe to the left on the cell to reveal the next metric. 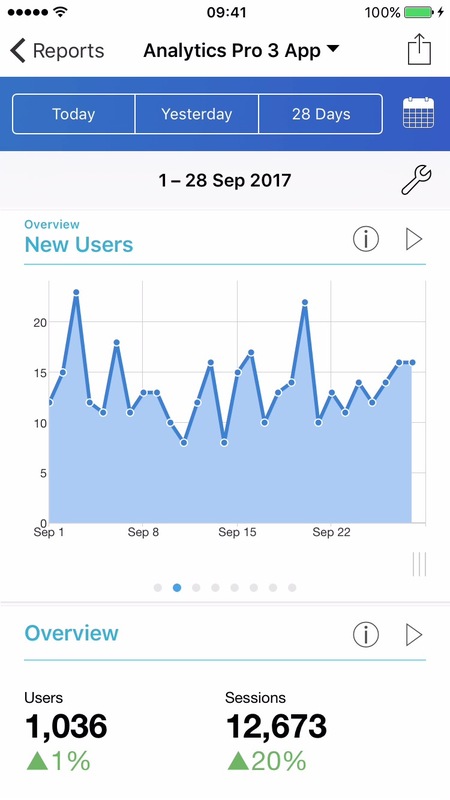 4The cell has been updated to show the 'New Users' metric. The page indicator updates to indicate the current page.